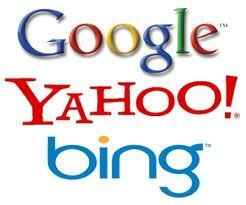 Search Engine Indexing Guaranteed! Outsmart Your Competition! Why use Search Engine Optimisation Specialists? The look of your website doesn't play a part in your ranking, just because you may have the best looking website, there is no guarantee that anyone will find you on the internet. Without traffic, of course there are no enquiries, visitors or sales and certainly no internet credibility, which could be rather detrimental to your business. Owning a high ranking website has now become the ‘yardstick’ by which we measure the credibility and success of any business. With that in mind, utilising the services of a professional Search Engine Optimisation specialist has become a priority for many businesses, in order to secure an advantage over their competition. With the competition on the World Wide Web now being so fierce, many websites who do not employ effective professional SEO strategies are never indexed let alone ranked by these very important search engines. In order for your website to be successful, it MUST have visibility as well as a solid internet presence. SEO optimisation includes making your site attractive for both your human visitors as well as the search engine spider bots (robots). Human visitors want to find a pleasant site with easy to access and easy to read relevant information. The spider bots on the other hand, are robots sent out periodically by the search engines to determine whether a site is rank-worthy by analysing the code and content at the back-end of a site. Hence, professional Search Engine Optimisation specialists always involve keeping the code and content in a spider bot friendly format as part of their strategy. In order to establish the extent of work necessary for your site to achieve online success, professional Search Engine Optimisation specialists usually conduct a comprehensive website analysis before commencing any work on your website. A properly conducted professional SEO campaign will ensure your website is visible, easy to find and ranked by the search engines. Therefore having a successful website has become a crucial marketing tool for any size business. Design & Control your own website! From just $2.95 per month!